The 20th ranked Maryland Terrapins (27-13, 8-4) will look to stop their three game slide as they travel to West Lafayette, Indiana to face the Purdue Boilermakers (13-28, 1-11) who find themselves dead last in the Big Ten conference standings. While Maryland Baseball Network will not be making the trip to Purdue, here is how you can keep up with your Terps. Mike Shawaryn looks to improve on his nation leading nine wins this season as he goes up against veteran right hander Brett Haan. With a victory, Shawaryn would become the winningest pitcher in Maryland history. The sophomore right hander has been brilliant all season. He ranks first in the Big Ten in wins, fourth in ERA (1.67), and first in strikeouts, by a margin of 20. Haan is just 1-7 on the season with a 6.61 ERA. Like Shawaryn he is making his 11th start of the season, however he has only pitched 47 2/3 innings. His batting average against is .343, so clearly a guy who pitches to contact. Last season Haan began in the bullpen, but was moved into the Sunday starter’s spot for the final five series of the regular season. After taking over for the injured Tayler Stiles last Saturday, Rob Galligan has earned himself another go. Galligan was thrust into the toughest mental situation the Terps have faced this season, and stepped up to the challenge, earning his first win of the season. The left hander went six strong, allowing just one earned run, and striking out six. This season he boasts an ERA of 1.27 in 14 relief appearances. Matt Frawley makes his 11th start of the season for Purdue. He is 1-7 on the year with a 4.91 ERA. The sophomore has struck out 24 and walked 16 over 47 2/3 innings pitched. In his start last week against Michigan, he allowed three earned over five innings, giving up five extra base hits. After a tumultuous season, Jake Drossner finds himself back in the weekend rotation. After experiments with Ruse, Rios, and Mooney in the Sunday slot all returned less than favorable results, Drossner seemed to discover his command at just the right time. Last Sunday against Cal State Fullerton the junior tossed eight innings of scoreless ball, striking out six. Perhaps most notably, Drossner walked just one, a sign that the lefty who had struggled to get through four innings earlier this season has returned to form. Gavin Downs will make his ninth start of the season. He is tied for the team lead with 19 appearances this spring. In 40 innings worked, the junior right hander has allowed 47 hits and 30 earned runs, including five opponent big flies. However, he does have four of Purdue’s 13 wins on the season, which leads the team. The redshirt junior from Orland Park, Illinois leads Purdue in nearly offensive category. He is batting .342 with 5 home runs and 26 RBI. He is also slugging .507, over a hundred points higher than any other starter. Wood is the prototypical power hitting first baseman, batting third in the Purdue lineup, and once in a while will make an appearance out of the bullpen as well. The senior right hander has been the best reliever out of the Boilermaker pen this season. The 6’4 Eichmann has made a team high 19 appearances, striking out 17 in 25 2/3 innings. 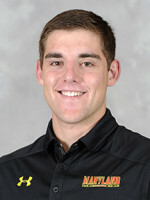 His ERA of 3.16 is second best on the Boilermaker squad to Mike Kornacker, Purdue’s more reliable mid-week starter.